Chrissy discovered Barn Light in her bathroom. 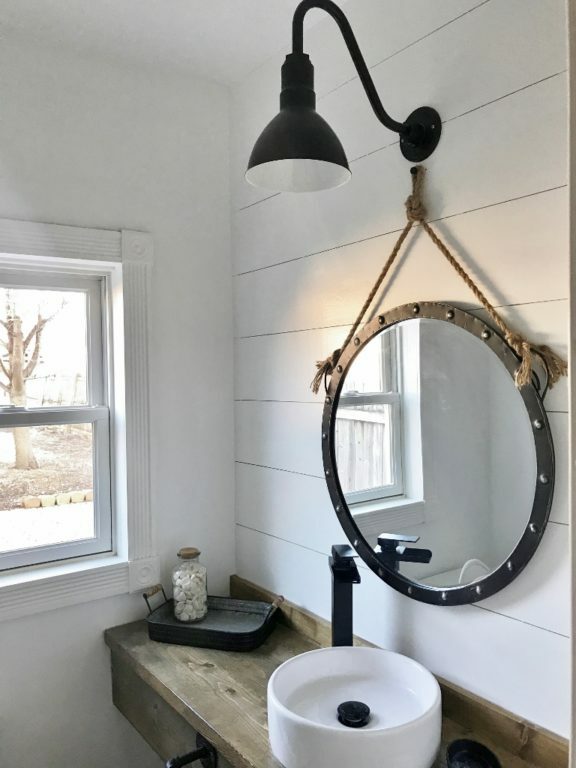 When she purchased a 1920s-era home in the heart of Frederick, Maryland, she fell in love with a gooseneck light already installed in the master bath. “I looked at the fixture to find out the name of the lighting company where it came from,” Chrissy says. 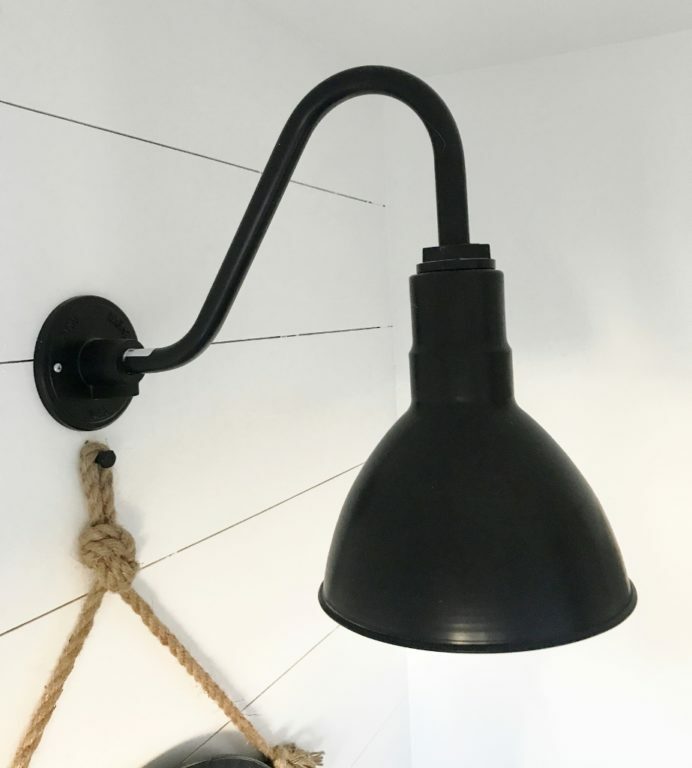 “I saw Barn Light Electric on the backing plate.” As she and her husband tackled a complete renovation of the home before moving in, Chrissy turned to Barn Light for additional fixtures. 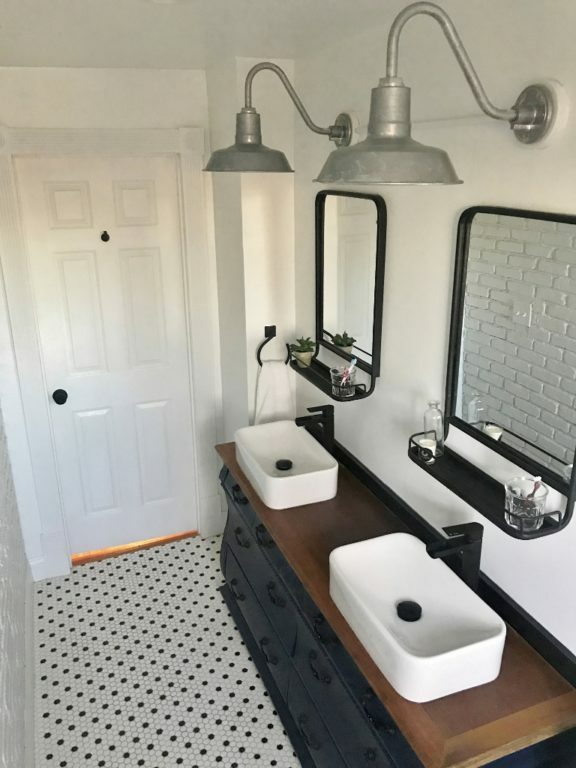 Avid fans of Chip and Joanna Gaines, the couple took inspiration from Fixer Upper as they visualized the design changes for their home. “We chose three main colors, white, gray, and navy, to use throughout the house,” Chrissy notes. 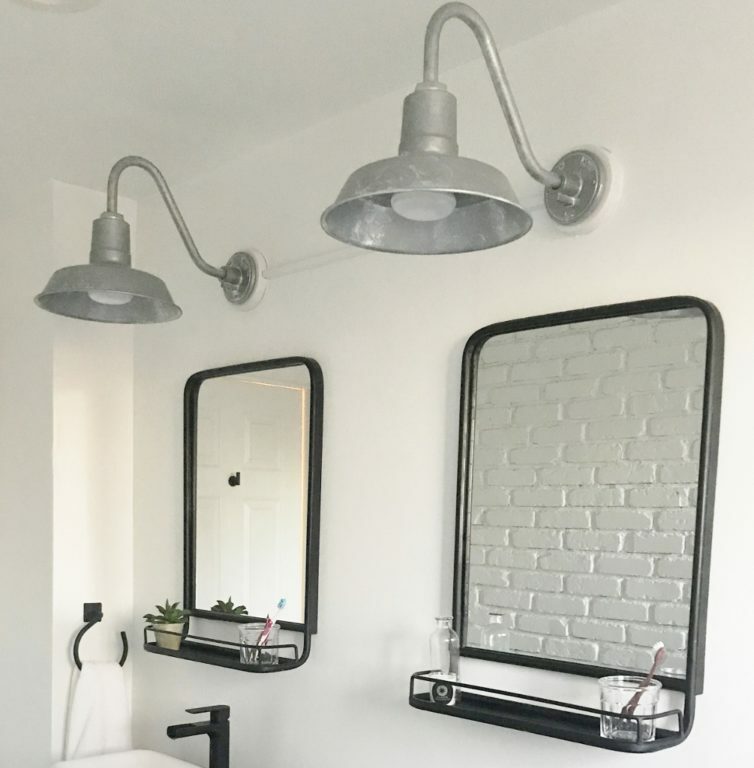 “We wanted to keep everything simple and beautiful.” That Wesco Gooseneck Light ended up moving from the master bath to the half bathroom which is used by guests. “We get compliments constantly from our friends and family whenever they visit us,” she says. “People love the beauty of that fixture.” For the master bath, Chrissy chose the iconic Original™ Warehouse Gooseneck Light. 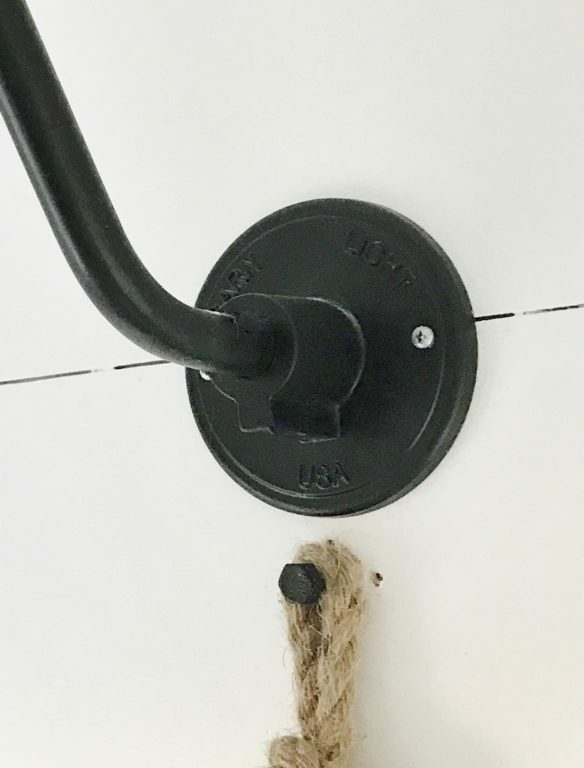 She customized these handspun wall lights with 12″ shades, a Galvanized finish, and G26 gooseneck arms. 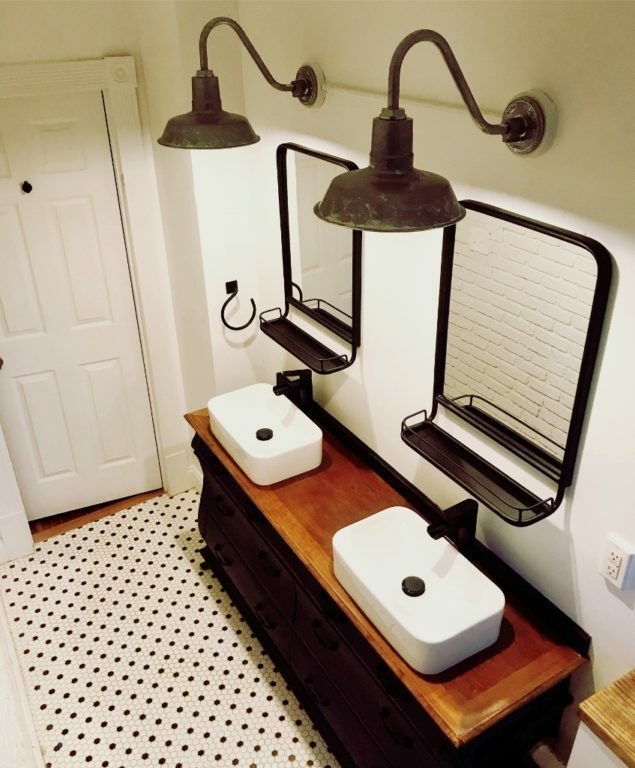 Chrissy revarnished a dresser and added two vessel sinks to create a double vanity in her master bath. The couple, who always dreamed of doing a fixer-upper, worked for seven months to complete their renovations before moving in — their dream come true.